When archaeologists opened an 18th Dynasty Egyptian tomb in the Valley of the Kings, they made a startling discovery. There, amid furniture, vehicles and other funerary artifacts they discovered vessels full of honey. It had crystallized but was still edible. Honey that was over three thousand years old was not only still in the tomb it was still edible and had not spoiled in any way. Honey was used in many different ways by the ancient Egyptians. As well as being used as a natural sweetener for baked goods and other food, it was also a component in the mummification process used by the Egyptians to preserve their dead. Honey was also a part of the religious life of ancient Egypt. 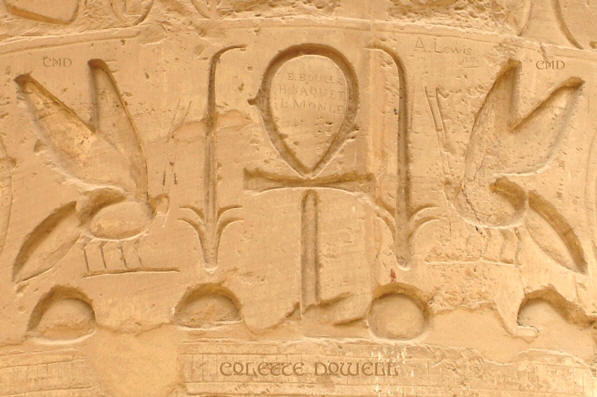 It was used as an offering to Min, an Egyptian god of fertility. Honey was also used in other cultures besides the ancient Egyptians. People have been searching for this natural sweetener for at least ten thousand years. Cave paintings that were discovered in Valencia, Spain showed the process of collecting honey. In the painting, two women are collecting both honey and honeycombs from the nests of wild bees. The painting has been dated to the Mesolithic period. While many cultures simply looked for honey in the nests of wild bees, the ancient Chinese actually developed beekeeping. It has been mentioned in texts dating from the Spring and Autumn period which lasted from 771 BCE to 453 BCE. In the books, which were written by Fan Li, tips for keeping bees successfully were mentioned. Fan Li, an advisor living in the Chinese state of Yue, stated that the quality of the wooden box used to house the bees was important. He stated that it could affect the quality of the honey that the bees produced. Honey was used as more than just a sweetening agent or as a food. It was put on wounds by Roman legions as a way to speed up the healing process. Honey contains natural antibacterial properties that can help prevent infection so it was no wonder that it would be used for healing. Even now, many ointments and skin creams contain honey because of its healing properties. Honey was also used to treat skin rashes and burns for the same reason. In Mesoamerica, stingless honey bees have been revered by the Mayan people for thousands of years. They considered the bees to be a sacred animal and cultivated them, a practice which has continued to the present day. Honey has also appeared in many different ancient religious texts including the Hebrew Bible, the New Testament and the Qur’an. In Buddhism, honey plays a major role in some religious festivals. One in particular, Madhu Purnima, celebrates the retreat of Buddha into the wilderness as a way of making peace among his various disciples. During this retreat, religious legends state that a monkey brought honey to Buddha so that he could eat. 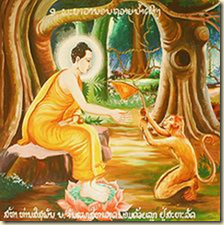 The gift that the monkey brought is one that is common to many pieces of Buddhist art.